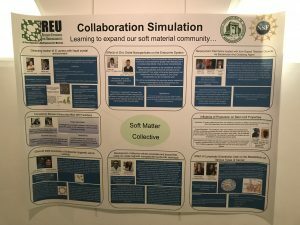 The REU program in “Reconfigurable and Multifunctional Soft Materials” concluded its third edition during Summer 2017. 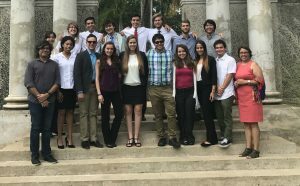 The program hosted 16 talented students from across the United States and Puerto Rico, giving them a unique research experience. 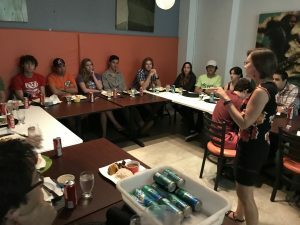 The participants came from universities like North Carolina State University, University of Hawaii, University of Connecticut, University of Wisconsin, University of Alabama, Georgetown University, Texas Tech University, College of Saint Benedict, Santa Barbara City College, Hudson Valley Community College, and, of course, Universidad de Puerto Rico. 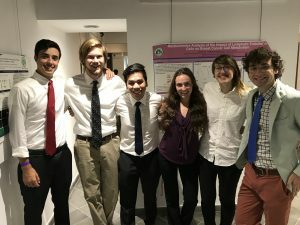 A diverse group of young minds, from areas such as Physics and Math, Chemical Engineering, Biotechnology, Biological Physics, among others developed a sense of fellowship and camaraderie through their shared experiences. Their research projects went from studying concepts, constraints, and management in chemometric, nondestructive analytical techniques, pharmaceutical engineering, MgO nanoparticles, tissue engineering, type-1 collagen matrixes modified with iron oxide nanoparticles, prevent biofilm formation on our coated titanium chips, testing the toxicity of Zinc Oxide nanoparticles on yeast, to the determination of lymphatic endothelial cells affect the metabolism of breast cancer cells and how. 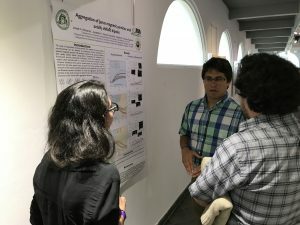 The results of their research were disseminated to a large network of scientists and general public through the CienciaPR.org platform, which provided an exciting outlet for students to share their experiences and impressions. Students even got to propose collaborative projects amongst themselves! 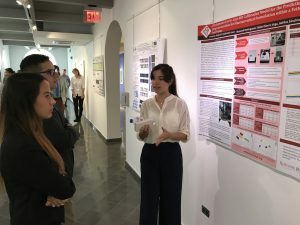 An outstanding poster session showcased all of the projects at the end of the 10-week session. 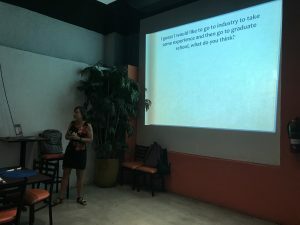 Our REU program provided ample opportunities for development through Scientific Communication Workshop Series and Soft Matter Seminar Series combined with a rich cultural experience that included the exploration of the natural beauties of Puerto Rico accompanied by great food and the colorful and upbeat character of the Puerto Rican folklore. Do you dare to be next?